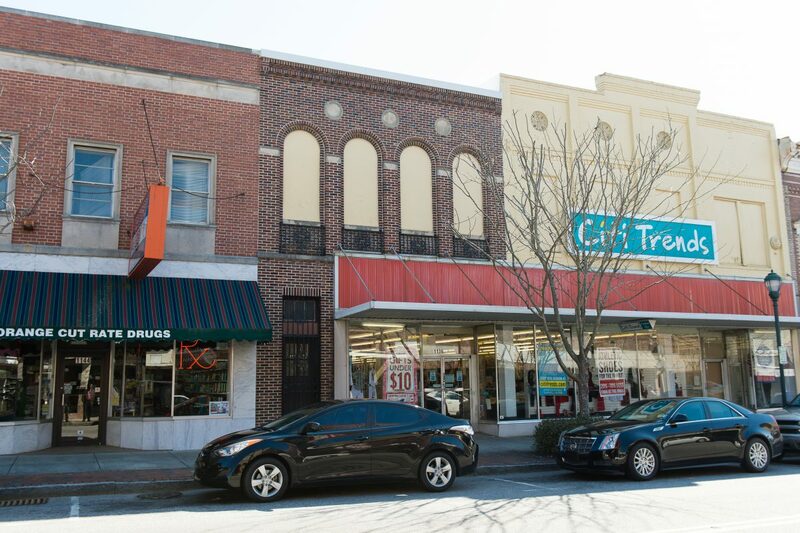 With downtown Orangeburg struggling to attract business, New America Corporation proposed to purchase three dilapidated commercial buildings, rehabilitate them and lease them to small business owners. New America Corporation is a non-profit organization committed to business development, affordable housing and education. New America Corporation previously worked with South Carolina Community Loan Fund to finance affordable housing projects and saw this commercial project as another opportunity to partner with our organization. SCCLF provided an $84,000 loan for the purchase and renovation of the properties. The repairs were extensive in two of the buildings, including new electrical, plumbing, central heating and air conditioning, ventilation, roofing, framing, drywall, painting and flooring. New America Corp. has completed the renovations and is leasing two of the properties as of February 2016. The first business to move in, Lush Nail Lounge, had its grand opening on January 12th. The owner of this small business, Sharnise McMichael, graduated with a business degree from Claflin University in 2015 and is already fulfilling her longtime dream of opening her own nail salon. Beyond enabling one woman’s success, the renovation of this space, and the opening of three new businesses will stimulate economic activity in this underinvested area of downtown Orangeburg, and create new job opportunities for members of the community.